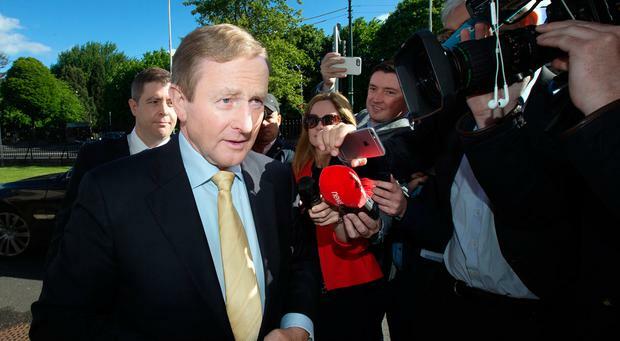 TAOISEACH Enda Kenny said "Je ne regrette rien" as he arrived at Dublin Castle for a Department of Health event, hours after he stepped down as leader of Fine Gael. 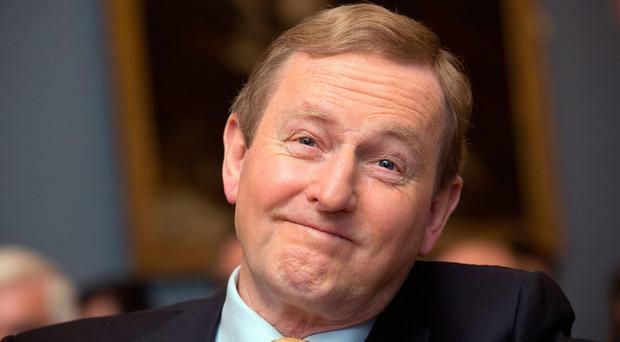 While the race to succeed him has officially kicked off, Mr Kenny was in upbeat form, said he had no regrets, and was continuing his work as Taoiseach. Earlier he told reporters "I’m feeling very well - It’s a beautiful morning" before he delivered a speech on Brexit to the British-Irish Chamber in the RDS. He told the audience that he is proud to represent Ireland, and in an apparent reference to the build up to his announcement last night, said "life is a blur these days". British-Irish Chamber president Eoin O'Neill lavished praise on Mr Kenny as he introduced him, thanking Mr Kenny for his four decades of service. "It is to your credit that the Ireland that is now emerging under your leadership is the fastest growing economy in Europe in the last four years – a distant hope back in 2012 is now a reality," he said. Mr Kenny responded modestly. He recalled a story that US Senator and architect of the Good Friday Agreement George Mitchell told him about how he was lauded by Irish communities all over America in the aftermath of the historic peace deal. He said a woman came up to the Senator and told him ‘Sir you are one of the greatest human beings that God ever created and I just admire what you’ve done for humanity", before handing him a picture of former US Secrtary of State Henry Kissinger to sign in error. Mr Kenny returned to the anecdote at the end of his speech, thanking Mr O'Neill for his remarks and saying: "I’m not Henry Kissinger, I am from the land of Michael Davitt. I’m proud to represent the country." He said that a "very good start" has been made in Ireland's approach to Brexit. He warned about the potential difficulties of the Brexit negotiations ahead which will be dealt with by his successor. He said that when the "niceties drop away" and arguments start to happen between the remaining 26 EU member States - at the same time as efforts are being made to maintain a good relationship with the UK - "that’s where the challenge I think is likely to be". Mr Kenny said he is pleased that the 26 other countries "unanimously supported my call for Ireland to have particular priorities recognised", listing the peace process, and border issues among the matters being taken into account. He also noted the agreement that Northern Ireland can rejoin the EU without having to reapply in the event of a united Ireland coming about by consent under the terms of the Good Friday Agreement. 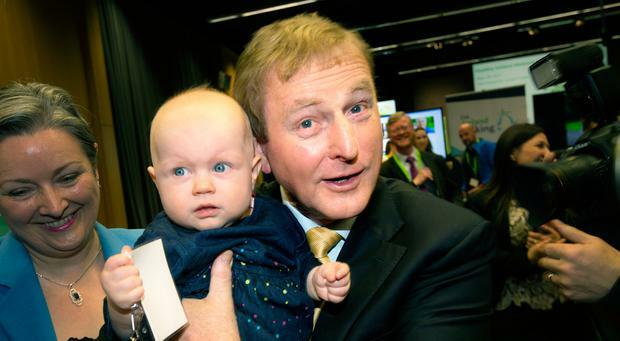 In a reference to trade across the Irish Sea, Mr Kenny struggled to recall precisely when an Enterprise Ireland strategy was launched saying: "I think it was last week" and quipping: "life is a blur these days". He also highlighted of European Commission negotiator Michel Barnier's priorities in the talks which include issues relating to Ireland and wider citizenship rights between the EU and UK. He said Ireland's Common Travel Area with Britain has been in place for 90 years and spoke of the importance of maintaining it. Mr Kenny said there were practical issues UK voters hadn't considered before last year's referendum and gave the example of passports for pets saying: "250,000 passports are issued for dogs and cats from Britain to go to Spain and France. "These things were never thought about before the vote to leave. There was no meows about that before the vote," he added.